SUMMERLAND are a hard-gigging band that are delighting ever larger live audiences with their songs of love and loss, longing and rejection. Sophie Armstrong, a shepherdess working in the wilds of Northumberland by day, has an extraordinary voice that soars, yet offers vulnerability and clarity too. At her side stands Gary Shearer, a guitarist of breathtaking ability whose finger picking is simply flawless. Together they’ve crafted a set list of original, heartfelt songs. This is music that is both contemporary and timeless. 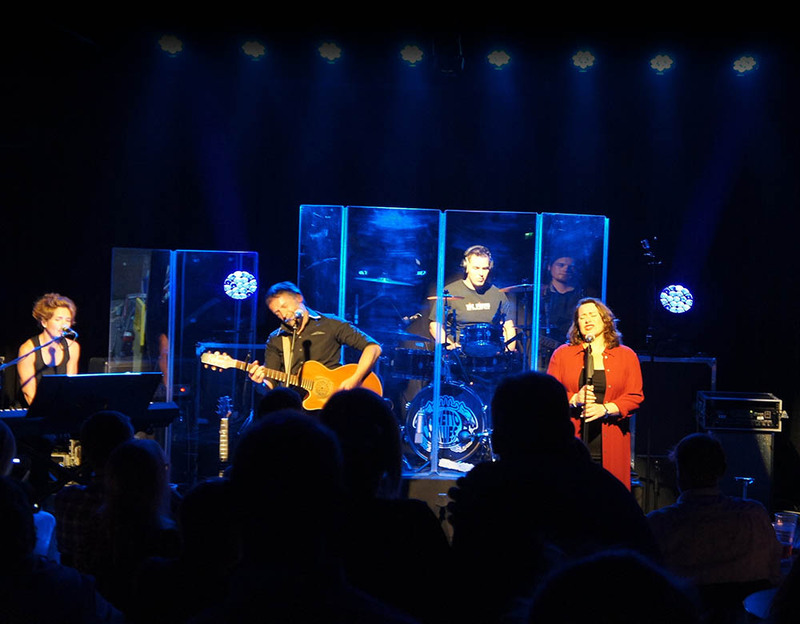 Summerland, who can perform as a duo or four piece band, also offer their live audiences a carefully chosen selection of brilliantly re-worked classic rock songs. Night after night they dish up delightful hooks and melodies, coupled with moments of introspective beauty. Their music has been described as country rock with a North East edge. Sophie, originally from London, but now an honorary Northumbrian, remembers first singing at the age of five and has never really stopped. She honed her skills singing during her time in the capital and once sang for the Prime Minister, David Cameron, at his parents’ home. Sophie teamed up with Gary, from Berwick upon Tweed, after booking him to play guitar at a family party at her home near Wooler, Northumberland, in 2010. She was so taken with Gary’s performance that night she decided she wanted to be the singer at his side. Gary, who had first picked up a guitar aged 12, was equally impressed by Sophie’s spine tingling vocals and wanted to work alongside her. From their first jam session together they realised there was a special chemistry between them. Sophie and Gary have now been playing live together for six years and have released a deluxe version of their first album, called simply ‘Summerland’, which took them two years to write and record.. Please direct all press and media enquiries to Sophie.